This was something that me and the other panelists talked about in the second part of the recent anime3000.com podcast (that podcast still pending release) and undoubtedly is all over the internet. 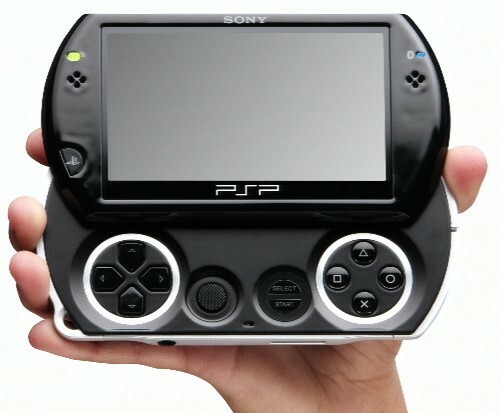 E3 2009 is upon us and leaked out before the event is the new Sony PSP Go. I'll admit..I prefer my current old PSP over this but it might be worthy for someone who has yet to buy one. No UMD drive and no dual analog controls sadly. What do you all think of it? I love the look of the Go but im not sure the redesign justifys me buying the new model. what real advantage over the older version does the newer model have. theres no UMD-drive so that makes you wonder if the games are going to be downloaded or cartridge based? guess until the E3 Show when all details are released we wont really know.